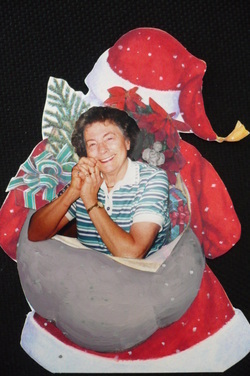 New Christmas Santa portrait for 2013! Book cover illustration! 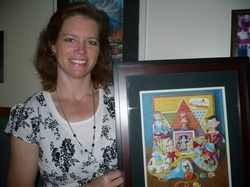 The book I painted the cover for is now on sale on Amazon and on lulu.com. 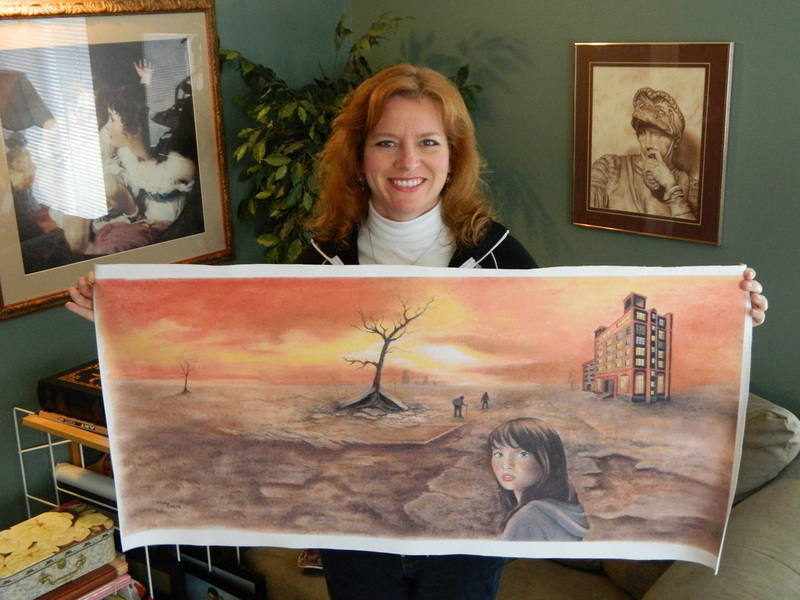 The book is titled "Travelers...The Destined Wasteland" by Miles Carter, cover illustration by Mary Clare. My sisters and I in the gallery where two of my pieces were accepted into their show. The beach scene in between us was done in pastels. 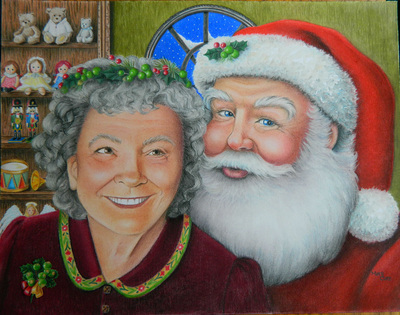 I'm done with my new Santa scene! 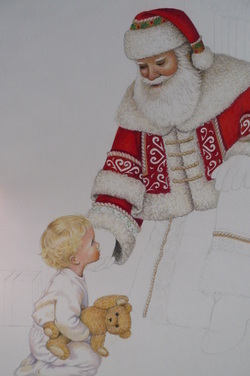 I am calling it "The Visit"
Working on this year's Santa portrait. I should be done with it soon. 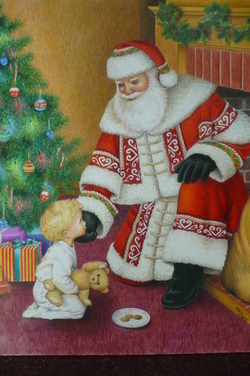 Santa has arrived down the chimney to find an adorable toddler waiting for his arrival. I thought I would share a photo of something really cool my sister and I saw at the Ghoultide Gatherings in Michigan. 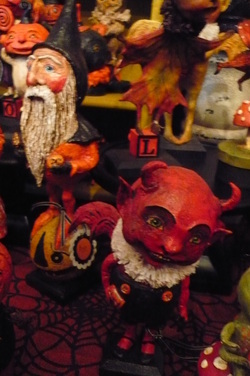 It was a quaint show in an old time village type setting with artists selling their Halloween themed sculptures. Isn't this unique? We loved them. 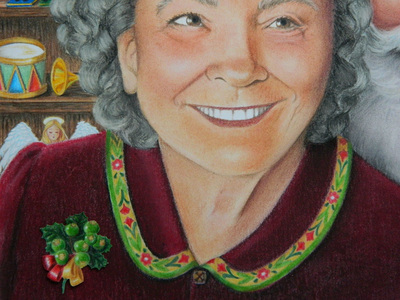 This is me with the finished work of "When Time Stands Still" of all my vintage toys in a still life. I did the entire piece in Prismacolor pencils. Loved every minute of working on this one!